The ink has dried on the latest North American splatfest, held this past weekend on Nintendo's online shooter Splatoon 2. As the game is currently obsessed with food themes, the lines were drawn this time between two popular chip dips, Salsa and Guacamole. 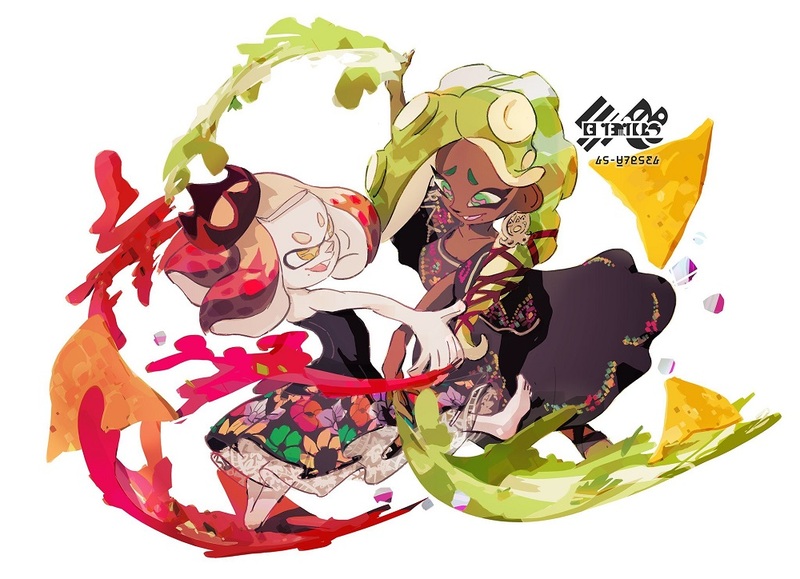 It was barely a contest, with Pearl's Team Salsa handily taking a 3-0 victory over Marina's Team Guacamole. 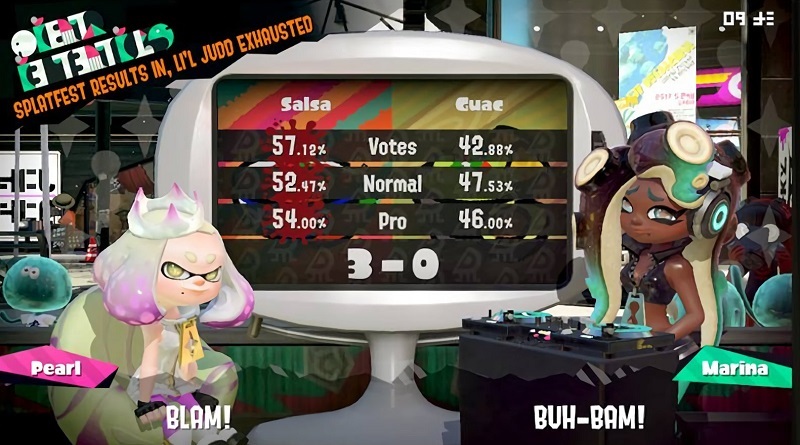 Salsa won the public vote by some 57%, before going on to take both points fought on Splatoon 2's colourful-but-messy warzones. The girls have been trading victories lately, what with Marina's recent (bizarre) Pocky-based win in Japan. The next splatfest takes place in Europe this coming weekend, something to do with the order you eat your foodstuffs in, it's ridiculous I tells ya. Hopefully Nintendo can get over this food fetish soon and bring us some more interesting topics in the future. For now though, Nice work, Pearl. Splatoon 2 is available now on Nintendo Switch.